Our Hot Rod RV, now called "The Happy Camper," has been a real source of joy around the Ringbrothers shop and the project has taken on a life of its own. When we first bought it at the Barrett-Jackson auction in Arizona it had already been slightly customized, but it needed a lot of work. Not ones to leave well enough alone, the second it got back to our shop in Spring Green, WI, we immediately stripped it down to its bare shell and began formulating ideas of where to go from there. What we decided on was to build a party on wheels that was build with styling cues that harkened to a WWII bomber in the cockpit and had some real ... well ... Mid-West flair in the coach. So after we fixed the brakes, painted the wheels, and got the Winnie back on its feet, we started looking to the interior and began fabricating and machining some of the interior pieces. 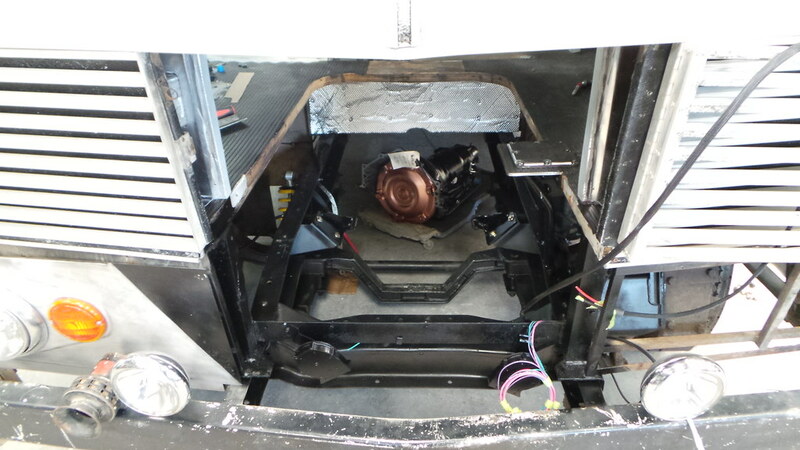 But before we got to far on the interior we needed to give this old motorhome a new heart. 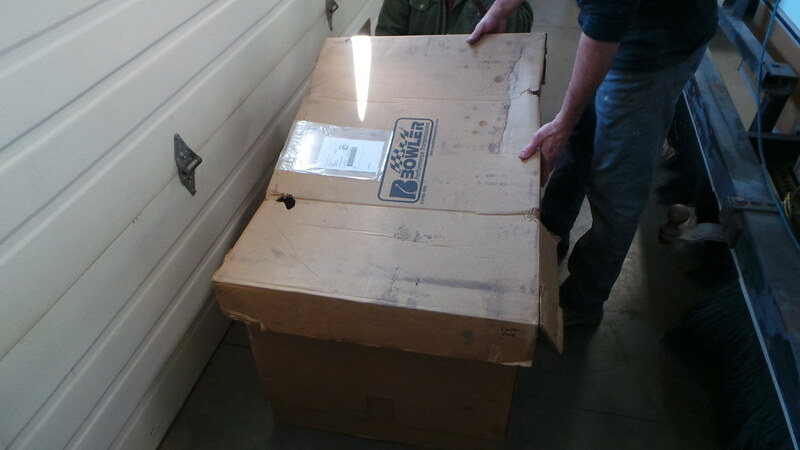 The first parts to arrive were from our friends at Aeromotive and MSD. 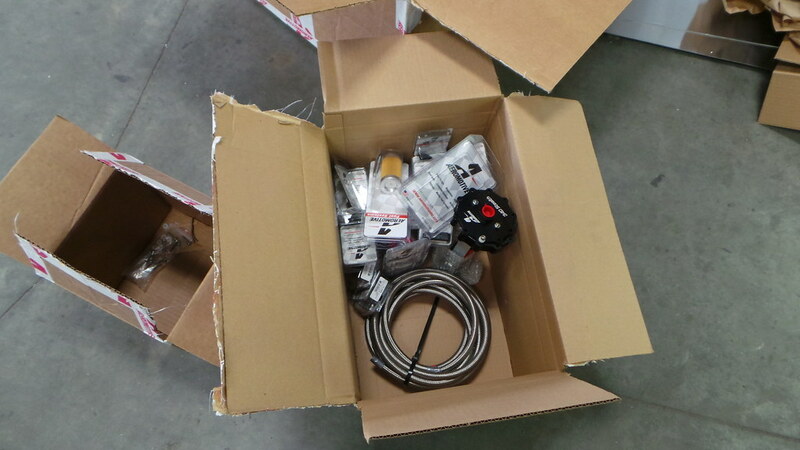 From Aeromotive we got everything needed to supply the RV's new engine with fuel including pump, lines, fittings, filter, and fuel cell. 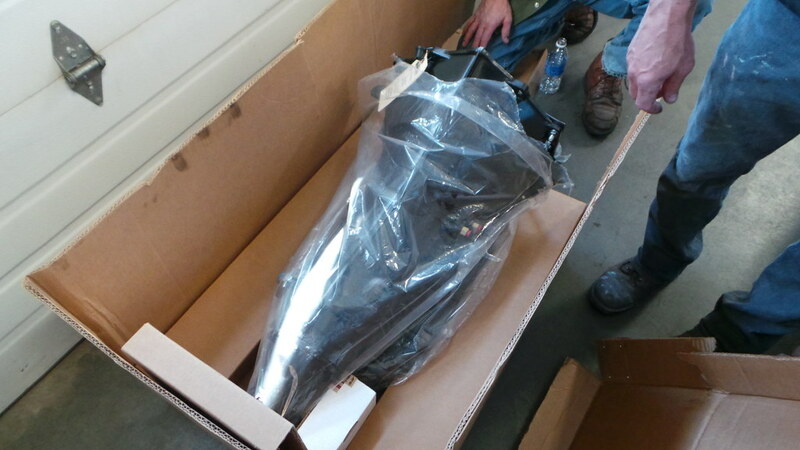 We went with Aeromotive's new Stealth 340 pump and Stealth Fuel Cell to ensure that the Happy Camper's new heart would have the fuel flow and capacity it needed to let us have some serious fun behind the wheel. 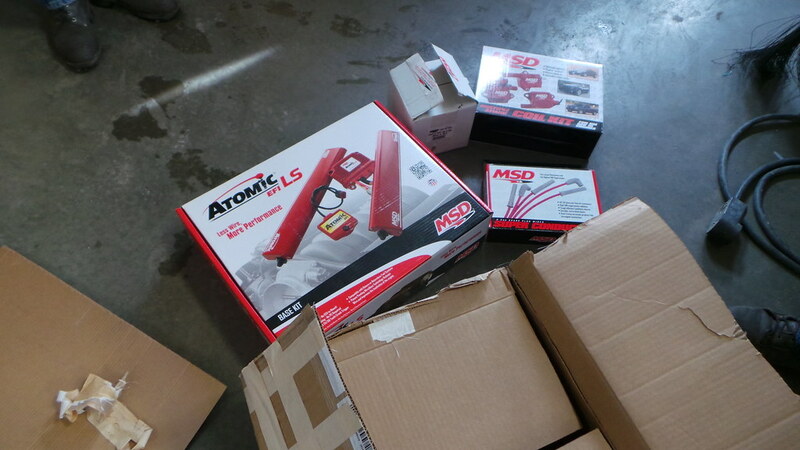 From MSD, we sourced the new self-tuning Atomic EFI system to handle engine management and fuel delivery. What we really liked about this system, besides the fact that it tuned itself, was how clean the install was, with very few wires visible in the engine bay. To keep spark consistent across all eight cylinders, we went with a Multiple Spark Coil Kit and Super Conductor Wire Set. 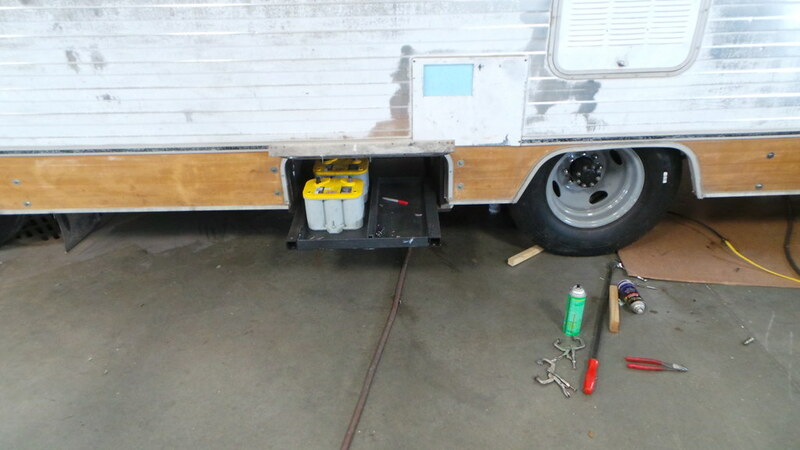 After we installed the new Aeromotive fuel cell it was time to tackle the coach electrical system. 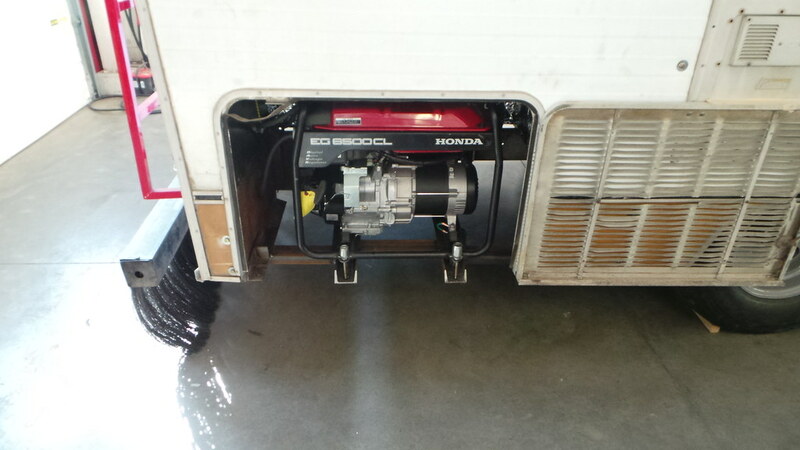 Obviously the Winnebago's 40+ year old generator had to go, so in its place we installed a brand new, quiet running Honda unit. This will give us all the power we need to run all of the ... things ... that we plan to install in the RV and do without being obnoxiously loud. Storing power for the road is handled by a bank of OPTIMA Yellow Top batteries. Now that the fuel and electrical systems were handled it was time to start getting this beast ready to move under its own power. 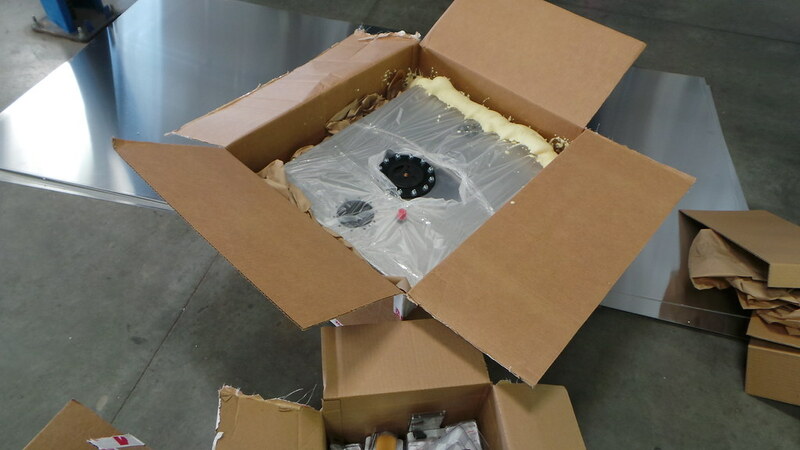 Helping us accomplish this was a new automatic transmission from Bowler that has been beefed up to be able to handle more power as well as the heavier weight of the RV. 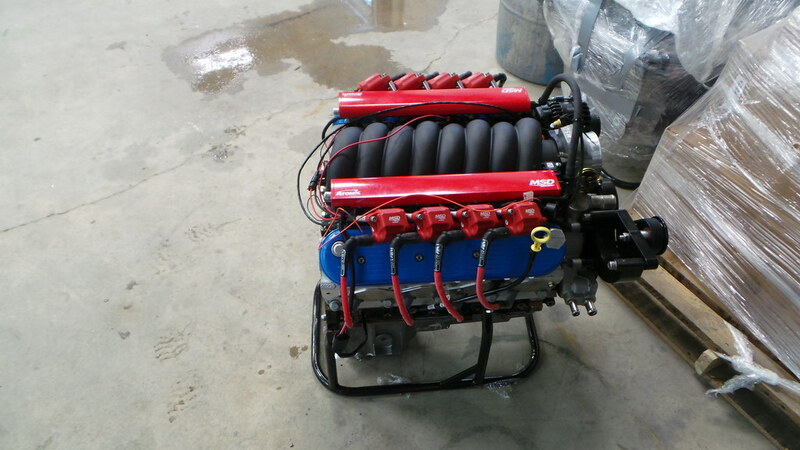 For power, we turned to Casey Wegner at Wegner Automotive to build us a torquey little 6.0L-based LS motor. 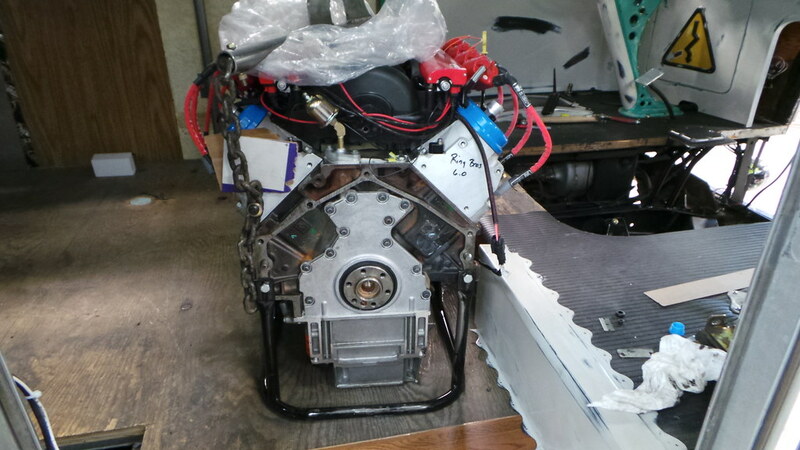 We know, not another LS motor, but it is hard to argue with power, reliability, weight, and cost effectiveness (especially on a silly shop project). 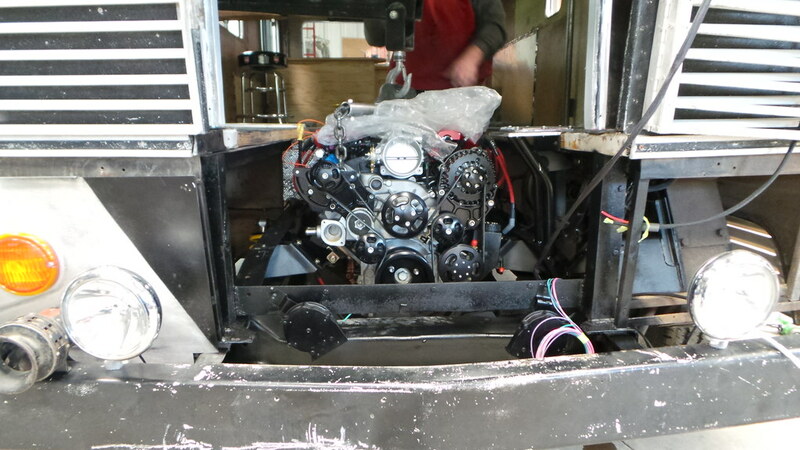 We installed our MSD Atomic EFI system, ignition coils, and wires and got the engie ready to bolt into place. The only issue we ran into was figuring out how to suspend the engine while we positioned it into place. 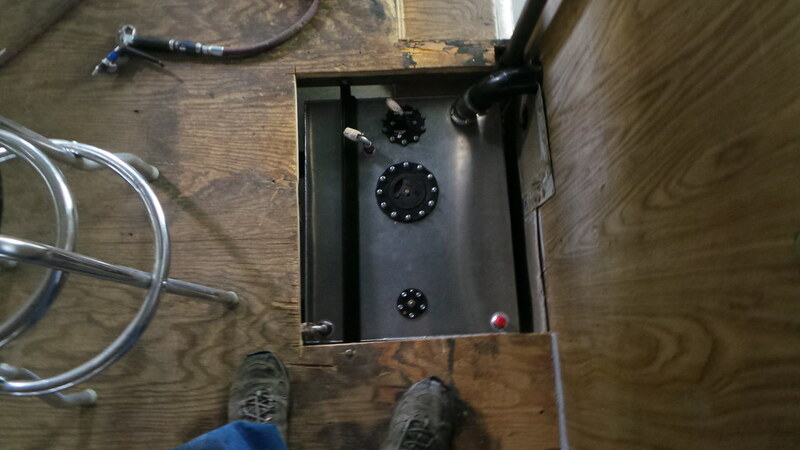 The floor of the RV couldn't support an engine hoist and there wasn't enough room to bring the hoise in from the front. The solution - use the Cat! 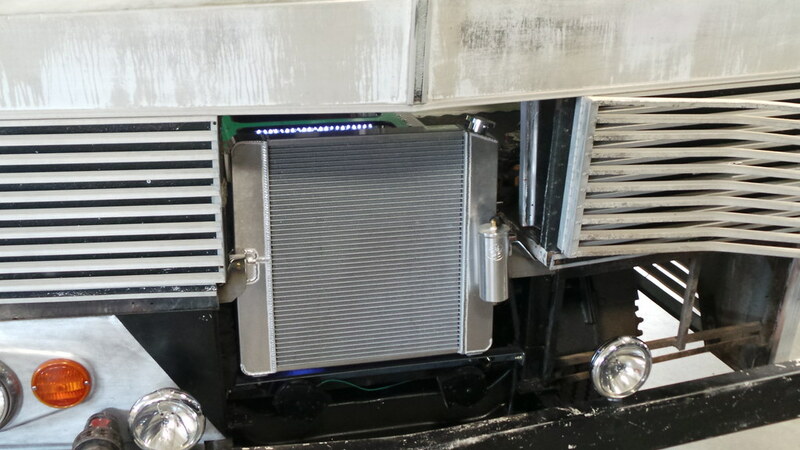 Finally, we added a BeCool aluminum radiator with integrated overflow tank to keep our new engine running nice and cool, even when we are pushing this brick on wheels at freeway speeds and loaded down with people ... or doing burnouts ... whichever. We then topped off the transmission, differential, and engine with Royal Purple Synthetic Oil to keep everything slick and friction-free. 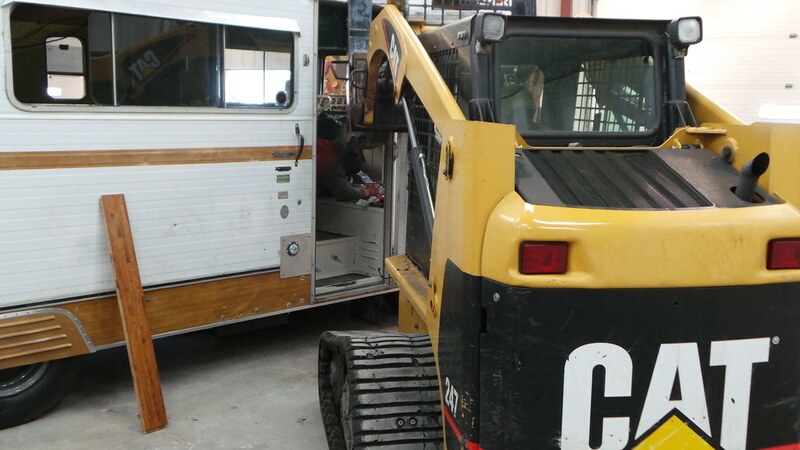 We have lots more going on with the build so make sure to stay tuned to our blog for Part 4 which will include the Happy Camper's new interior and more.